How Atradius Collections took over HP Inc’s difficult debt collecting worldwide. The amount of recovered invoices for HP Inc. increased substantially after the company initiated a third party default collection process with Atradius Collections. For eight years, we’ve worked closely with HP Inc., formerly Hewlett Packard, to collect its debts. Currently, we focus on its most troublesome debt cases. The debt collection cases we send Atradius Collections are the most difficult ones but it continues to get results. HP Inc. discusses the most troublesome cases with Atradius Collections on a monthly basis. It’s the start of ‘the monthly challenge’. Atradius Collections learns what is necessary - what type of customer, what type of invoice, what efforts have been made to collect the debt already - from HP Inc. about the cases and then they get to work, wherever in the world the case is located. Atradius Collections has a deep-seated knowledge of HP Inc., its culture, organisation, financial processes and the people, and how HP Inc. like to work. 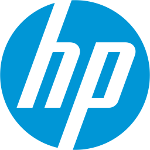 More information about HP Inc. (NYSE: HPQ) is available at http://www.hp.com .